An exhibition about the Co-operative Movement and working class at La Maison du Peuple in Saint Claude (Jura). 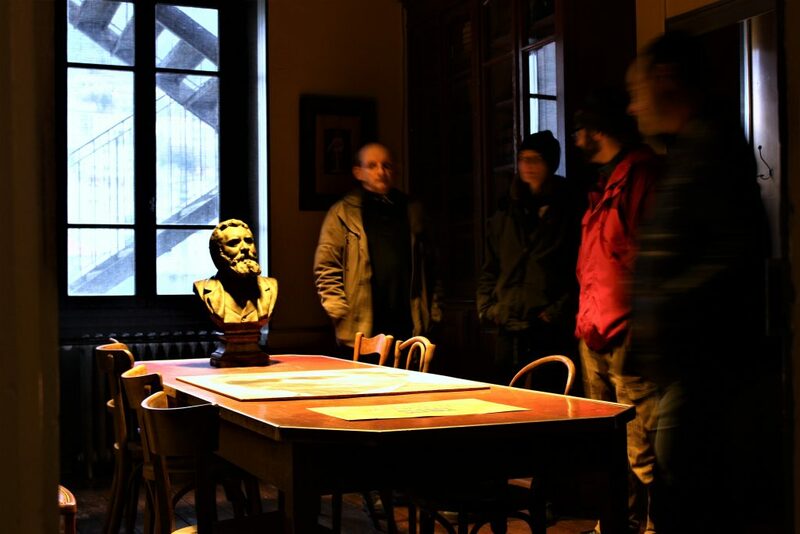 Come and discover the past of working class Saint Claude when visiting La Maison du Peuple. This visit will enable you to realise how a utopia turned into reality. An exhibition, «Archéologie d’un Rêve», will show you how the building was used as a food co-operative, but also by trade unions, mutual funds and cultural and sports associations. This was the concrete expression of a global rethinking of society along the lines of a an egalitarian self help community. 1h30 + projection of the movie «La Frat’ ou cent ans de solidarité dans le Haut-Jura» + the opening of the coffee. Durée de la visite 1h30 environ + projection du film (25 min.) «La Frat’ ou cent ans de solidarité dans le Haut-Jura». Le café de la Maison du Peuple, en période de vacances scolaires, ouvre ses portes du mardi au samedi à partir de 16h30.